I show you the correct way to plant the peas for a higher harvest yield. There are instructions for making the trellis that will keep the plants upright. 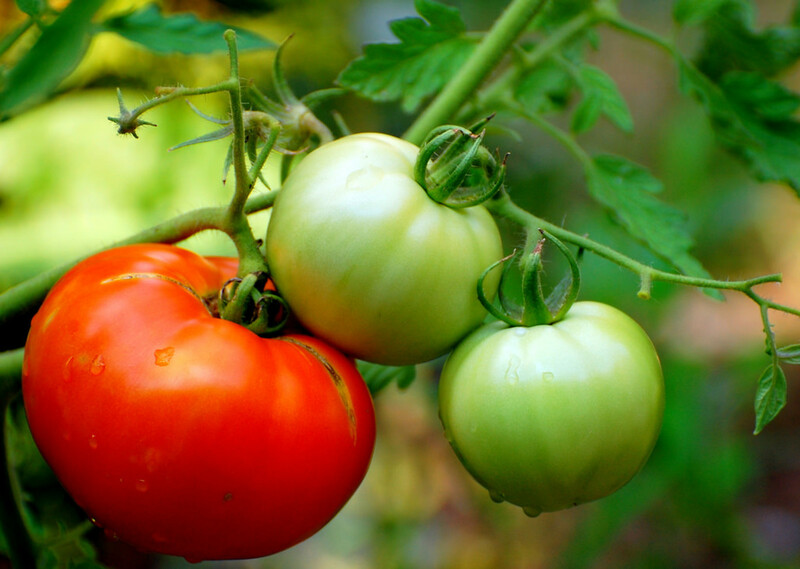 Garden ideas for growing perfect vegetables. See how to grow your own peas from seed. 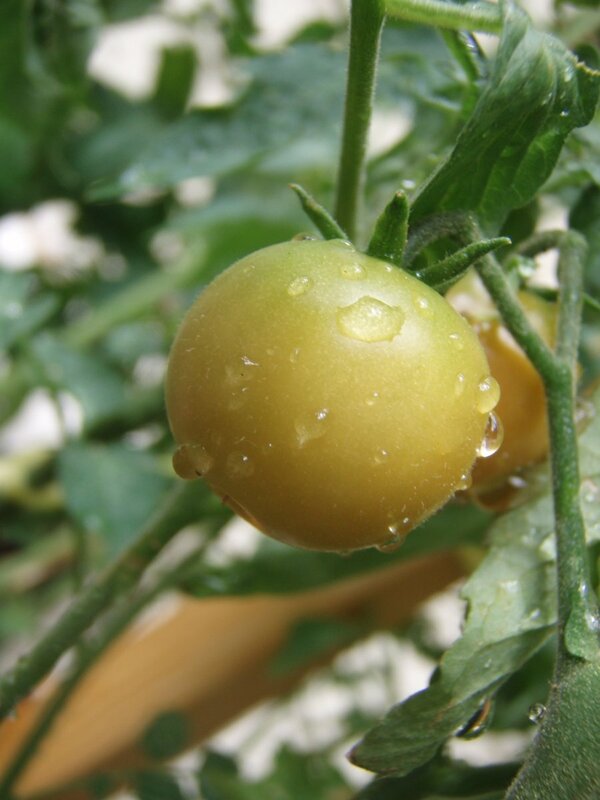 The seeds are very large, so this makes them ideal for children to grow. The best time is early spring. Here in Ireland that is March to April. 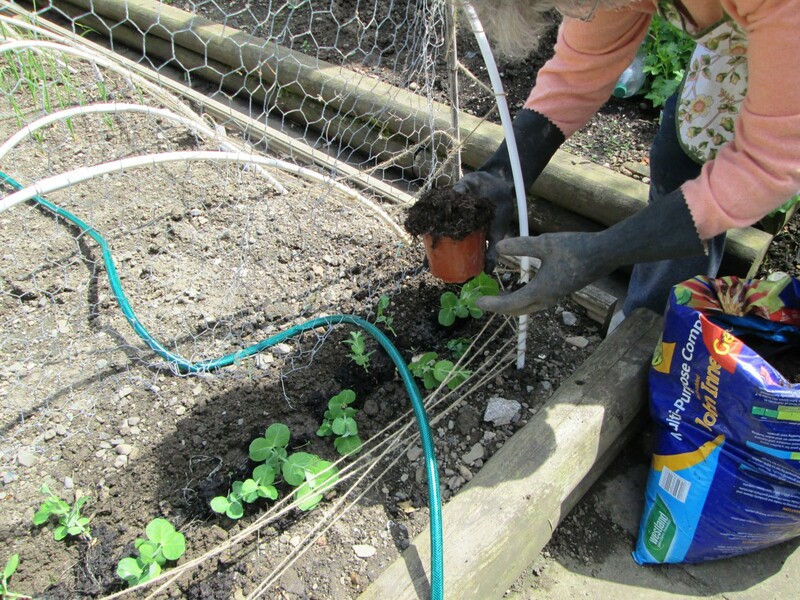 If the weather is still very cold in the spring, then two weeks before you intend to sow the peas, cover the soil with a polythene sheet or straw. This will heat up the soil. These are the pea seeds I use every year because they give me a great crop as you can see from my photos. Find a place in your garden where you will have easy access to both sides of your pea trellis. 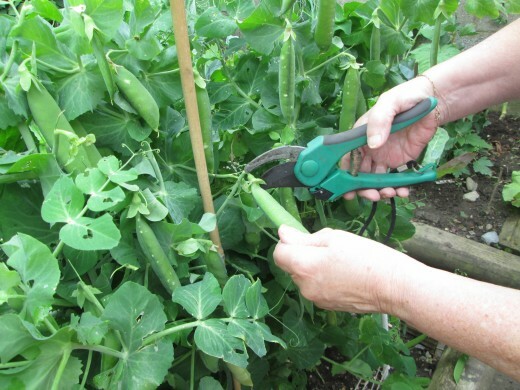 This will make it easier for you when you need to tie the tendrils and for picking the pea pods. Create a raised bed where you intend to sow the seeds. The reason for doing this is that the soil in the raised bed gets warmer more quickly. This will speed up germination. 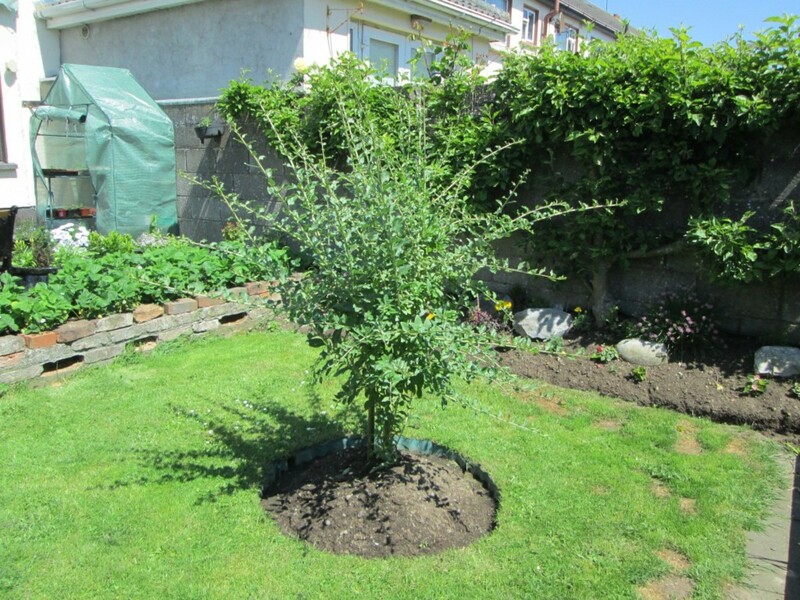 Using a small spade or hoe make a deep hollow on the middle of the dirt. This will create two trenches one on either side. You can now place the support frame into the middle of the dirt. I used two large bamboo sticks and wrapped and secured some chicken wire around each pole. The chicken wire is perfect for growing peas on. Pour in some water to the soil on the two mounds of compost. 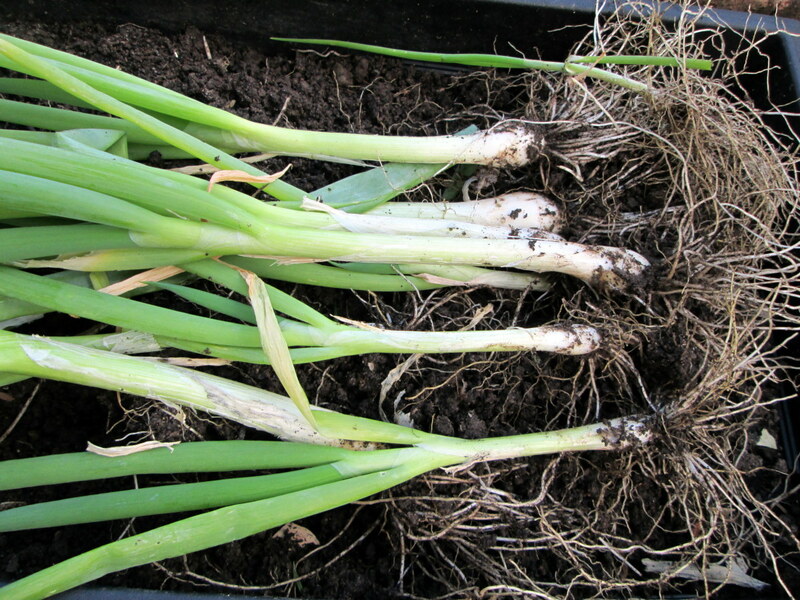 Put them into the soil at about one inch deep which is approximately six centimetres. 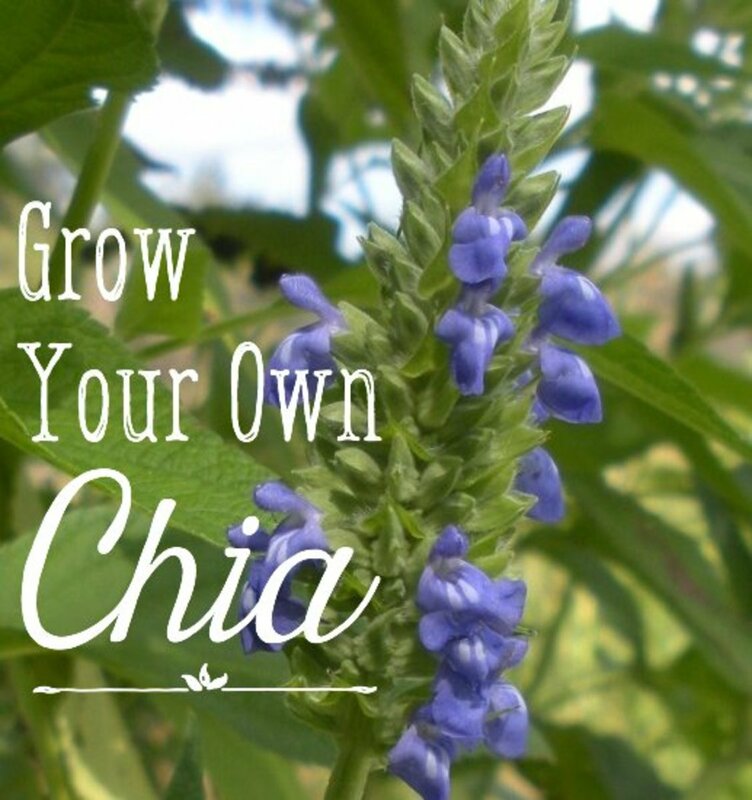 Place the seeds at least two inches apart which is approximately eight centimetres. Pea seeds are large and easy to see so this planting process is made very easy. Cover your pea seeds with a tiny amount of soil and flatten it down firmly. If you are still experiencing very cold weather with snow and frost then you should protect the seeds by adding some straw or other mulch on top of the soil to keep it warm. I would advice you to go ahead and plant in early spring even if the weather is still not very warm. If you leave it too late then you will have your peas growing at full bloom during the very hot summer. Peas do not like consistently hot sun and their growth will be stunted. 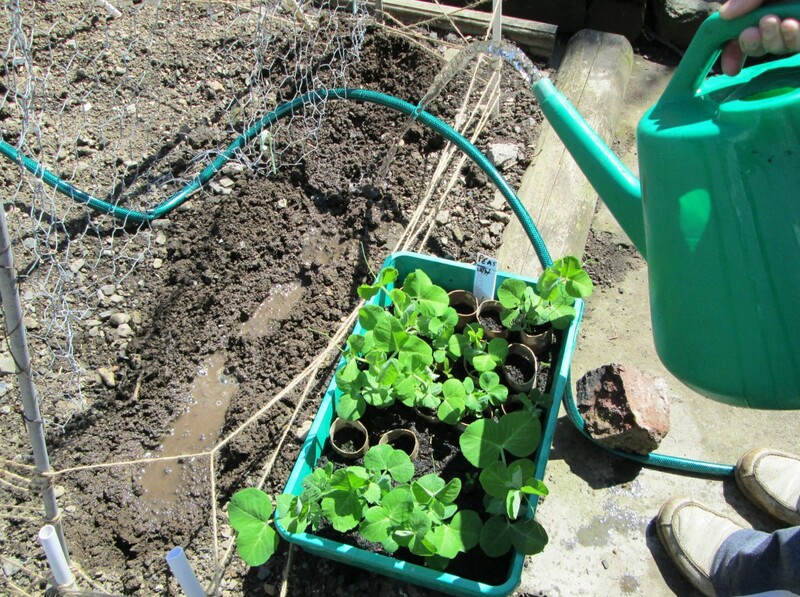 It all depends on the weather as to how often you water the seeds and tender shoots. Give them a good sprinkle of water once a week as they continue to grow taller. 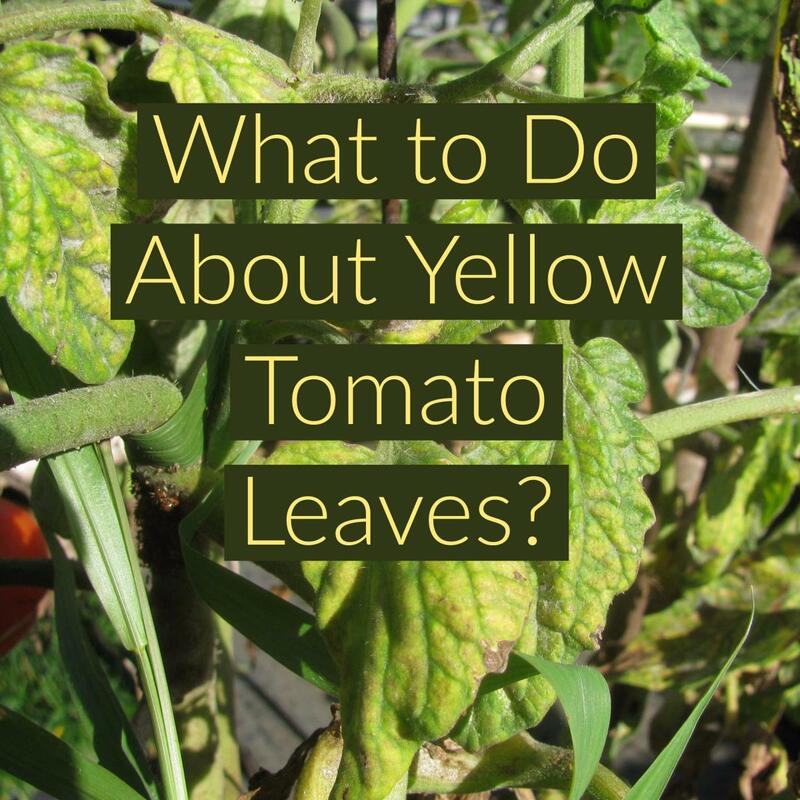 Check on them every day and if you notice the soil is drying out give them another watering. Be careful though because over watering the plants will also kill them..
As they start to grow larger and summer comes along water every few days or as needed. If the soil gets too dry this will stop the peas from flowering and producing pods. You can avoid this happening by adding some mulch around the surface once they reach a height of about five inches. Once they reach this height it is time to begin the job of attaching them to your support. You will see tiny tendrils on each plant. Gently curl these around your support. The chicken wire is great for this as there are so many holes in the wire. Check your plants every day from now on and see if they need to be supported. It takes about twelve to fifteen weeks for your pea plants to grow to maturity. It all depends on your soil, the weather conditions and how well they were looked after. Your plants should grow to a good height of about four to five feet. First you will see lovely white flowers appearing. These will eventually die and produce the pea pods. The pods will grow from each flower and then each pod will fill up with peas. Your pea pods will always be ready at the bottom of the plant first. So check these pods every day to see how the peas are growing. 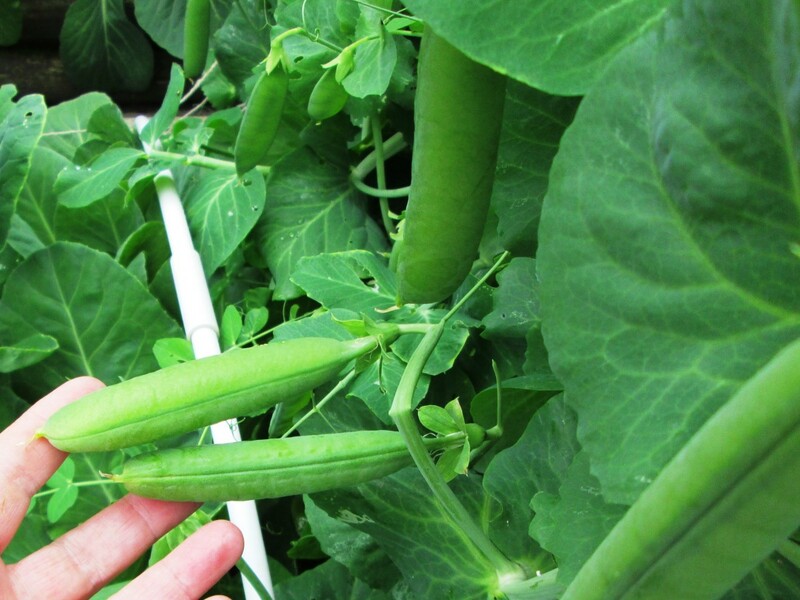 When you can see the peas are round, big and full to bursting in the pod you know they should be picked. Harvest from the bottom of the plants first. Have a secateurs or a sharp scissors ready. Take a pod in one hand and pull towards you. This will leave the end of it exposed enough to make a clean cut. Place in a container and continue with the others. Never pull the pods off with your hands as this will damage the rest of the plant. The shock will prevent the plants from producing any more growth to the remaining pods. When you remove the fully grown pods from the plant there is more room for other pods to develop and produce even more peas. Last year the spring weather was still very cold and frosty here in Ireland. I decided to plant some pea seeds in compost in a tray and under shelter. But I also planted some straight into the ground and covered these with mulch. I transplanted the growing seedlings from my cold frame once they reached about five inches in height. The plants in the ground were smaller at first but both methods were successful as the smaller plants soon caught up once the weather got warmer. I filled a small tray with compost and then placed half a cardboard toilet roll in it. I placed one seed in each. I watered as normal because the cardboard allowed the water to penetrate to the seed. When it was time to transplant the seedlings into the ground I was able to plant each one without damaging the roots. I cut the cardboard away from the small plant and placed in the soil outside. As you can see from the photos I had a very successful crop of peas last year. 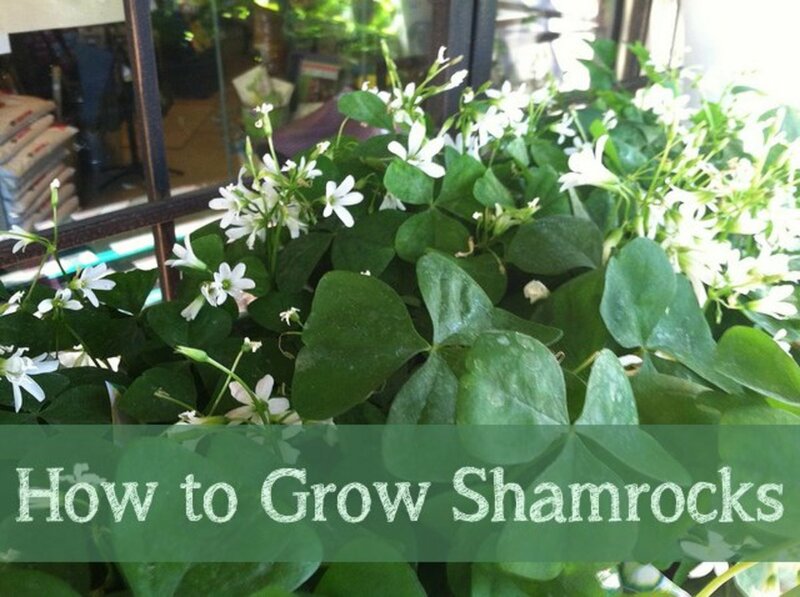 If you have the room they are a very easy and fun vegetable to grow with children. The kids can see the peas actually growing bigger with the pods. If they have grown their own vegetables children are more inclined to eat them too. Can I pinch back young pea plants? That is a shame your peas did not grow well last year kerlund74, I hope you have a better crop this year. 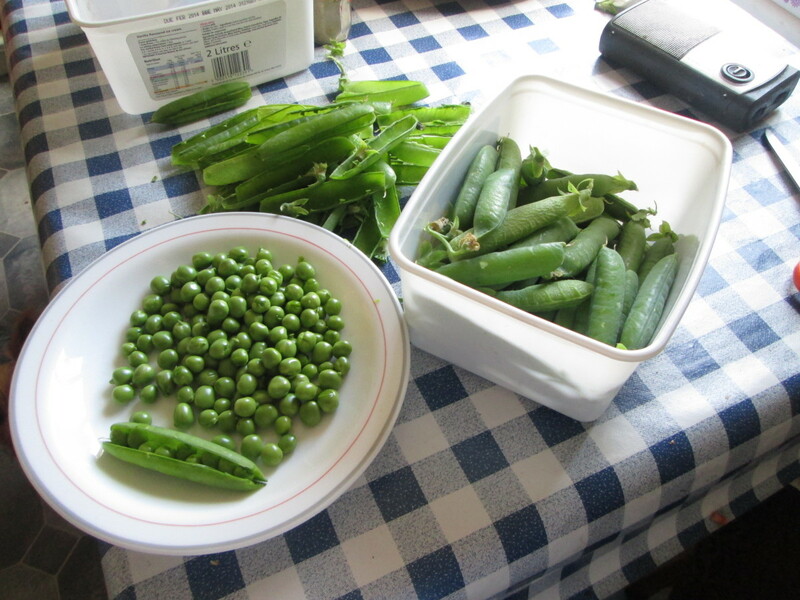 Growing peas is quite easy bluebird and great to pick and eat. Why not give it a try this year. Thank you AVailuu for your kind comment. It helps a lot when you are writing about something that you really care about and know how to do. The temperatures here in Ireland are still very cold too Kalmiya . I have my seed potatoes ready to plant but like yourself I think the peas, beans and potatoes will have to wait for a few more weeks. 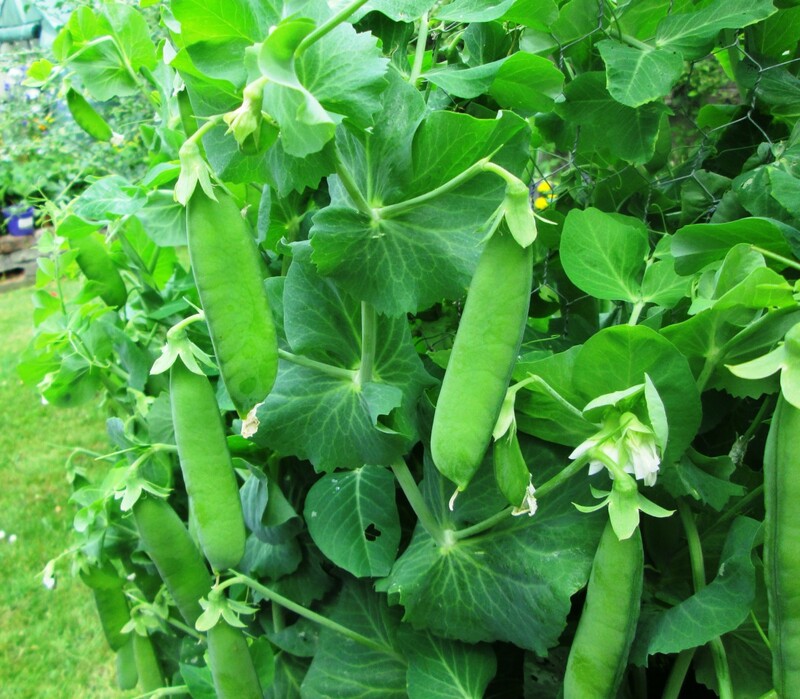 If you love to eat peas do have a go at growing some this year because the taste is superior and they are fun to grow. 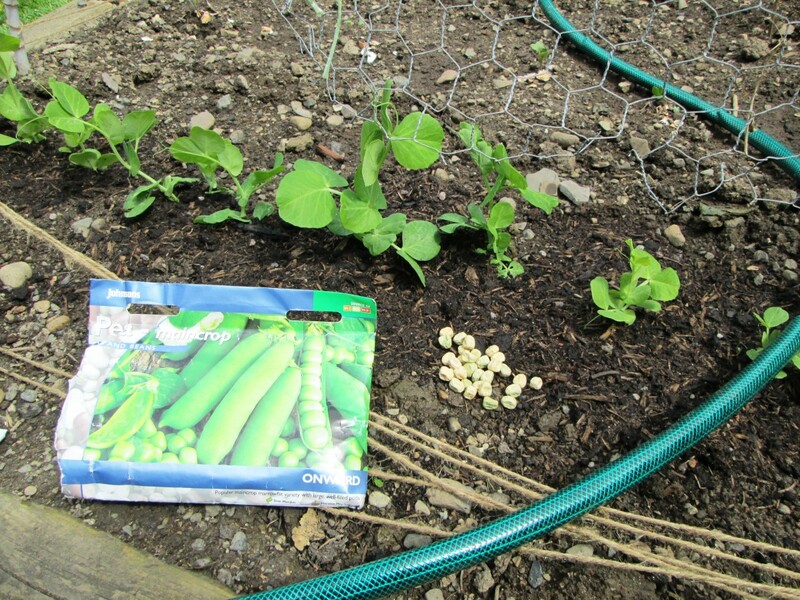 I love green peas and with your very detailed instructions may attempt to grow some this year. It's first week of March here in S. Ontario Canada so still minus temperatures so may start some indoors later in the month. Voted up! Quality internet content! I only hope to put out articles this in depth one day. Your documentation is wholesome and authentic. Great work. Great hub! Enjoyed the pictures too. Peas really are fun to pick and eat raw, they are sweet and tasty. And from this hub, it looks like they would be fun to grow as well! Thanks for sharing! and inspiring us to grow a garden! Hello DeborahNeyens Yes peas taste lovely raw, I also put them in a salad picking them when I am ready to serve it. WriterFox thank you for your kind comments. 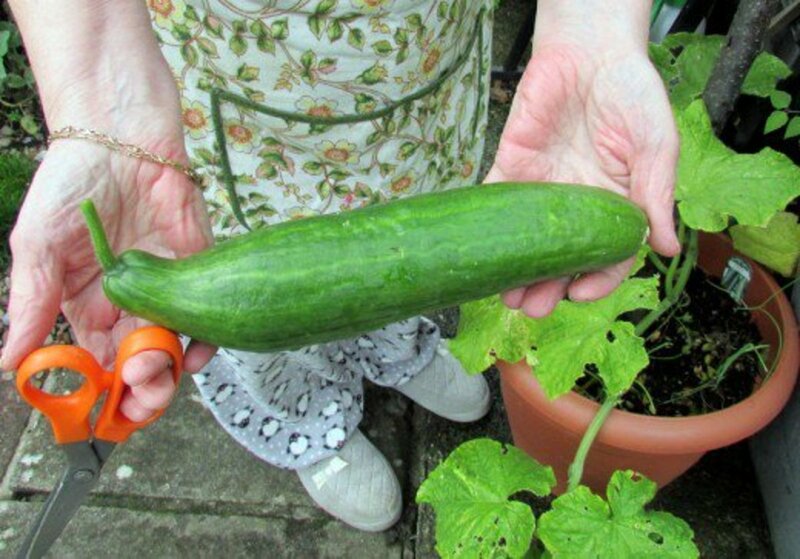 I take the photos especially for my hubs and my gardening blog but it is great to look back at how the vegetable was started and how it grew. The weather has been very bad here since Christmas so looking at the photos I took last year lifts my spirits too. Peas are one of my very favorite things to grow. I love picking them and eating them right off the vine. Your photos add so much to this article. They are absolutely inspiring! Enjoyed your garden and voted up. This is a very complete how to hubpage. Nicely done. I have bookmarked it for when we get our garden going, which should be fairly soon.